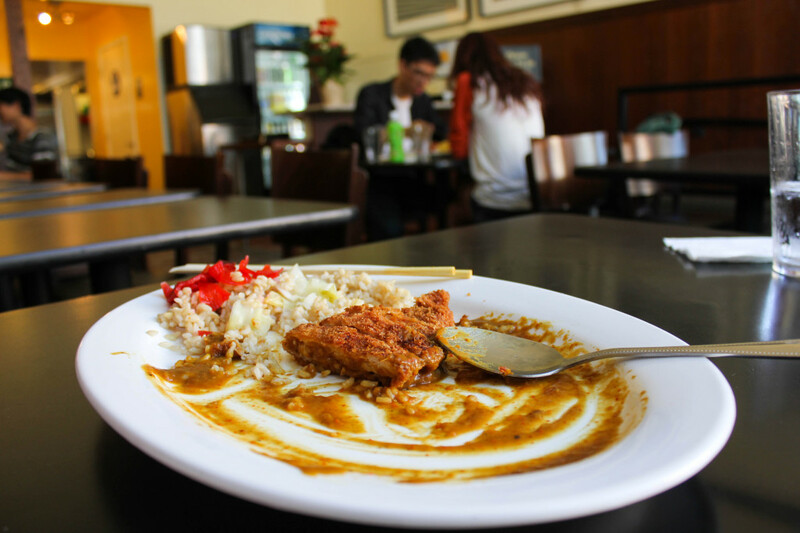 The legendary Muracci’s enlightens Telegraph Ave. with its trademark curry. After suffering through repeatedly disappointing trips to Crossroads and Cafe 3 Dining Commons over the past few weeks, I began to crave something more hearty and savory. 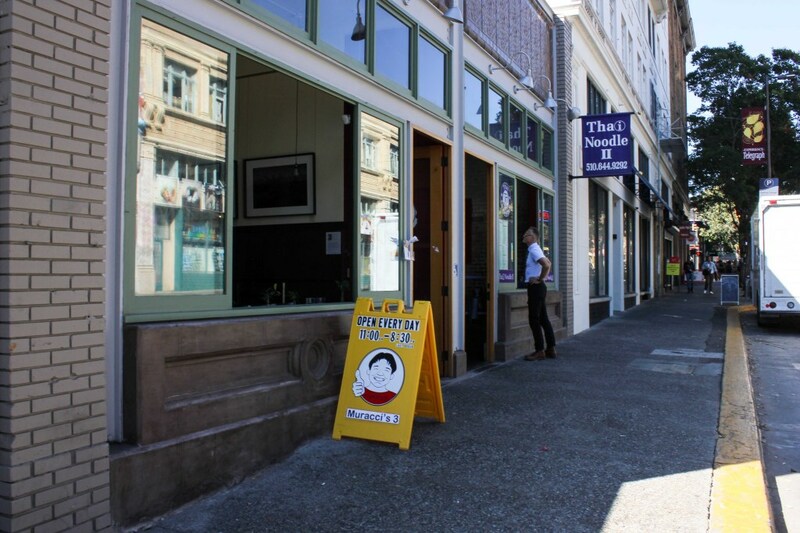 Through some internet hunting, I discovered that Muracci’s 3, the third location of a small chain originally from San Francisco, would be opening just five minutes from my dorm. Muracci’s 2 in Los Altos had been my go-to restaurant for any sudden curry desires back home–I had finally found a cure to my withdrawals and immediately marked my calendar. Upon arriving at the small and simple restaurant next to Thai Noodle II, I ordered my regular meal: the katsu curry with medium-level spice and white rice. Muracci’s did not fail me. The pork katsu, deep-fried battered pork cut into strips, was perfectly crisp and juicy, and the curry was wonderfully pungent with just the right amount of kick. Although the prices are a little higher than typical college food (a dish goes for about $10 here) and service is a bit slower than most campus spots, the extra money and time are well worth the experience. The portions are very filling, and there is a wide range of options. In addition to the katsu, Muracci’s offers several different variations to their curry, including hamburger, omelet and vegetable. The intensive twenty-hour preparation, as well as the owners’ dedication to providing freshly prepared food (everything is cooked upon order) provide a depth of flavor I have yet to find at any other local venues. Muracci’s 3 is a must-visit for curry aficionados and Japanese food-lovers; its traditional dishes are a wonderful treat for anyone with a savory tooth. Make sure to stop by and be captivated by Muracci’s magic.